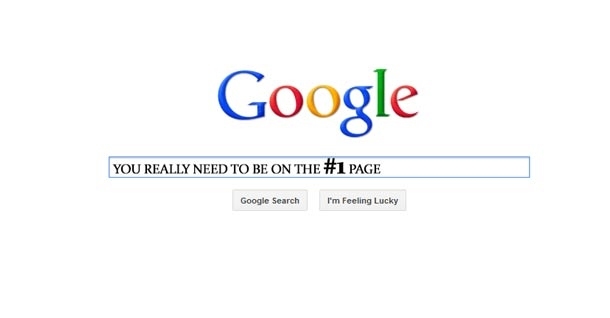 Google it: how to get on the first page. I must admit, I say this phrase more times than I should. It’s my ‘go to’ for questions posed to me that I don’t know the answer to, or for when I tell someone to ‘Google it’ if they don’t believe me on a topic, ha. But, Google has also lost me as many friendly bets as it has won. Over the past year, Google and I have forged an even stronger friendship, as I head to the site regularly to research information for coursework. One thing that is always frustrating is how Wikipedia is always one of the first sites on the main results page. For academic purposes, it’s a completely wasted entry on the page. However, businesses can stand to learn from Wikipedia’s ability to get on the first page of results. Why is it so important to elicit a top result? Sixty-two percent of search engine users click only on the results that appear on the first search engine results page and less than 10 percent of users click on results that appear after the third page. So, how is Wikipedia successful? It turns out Wikipedia has the best set of search engine optimization (SEO) fundamentals on the Web. SEO is a collection of techniques a Webmaster can use to improve his or her site’s search engine return pages (SERP). Most search engines also use computer programs called spiders or crawlers to search the Web and analyze individual pages, and these programs read Web pages and index them according to the terms that show up often and in important sections of the page. Additionally, there are many tricks (e.g. keyword usage) you can use to get your page higher to the top of the first page of results. I realize this is an oversimplification of the process, but it provides a place to start for those who might want to look into the practice more. The irony in Wikipedia’s case is that as long as the site captures such high rankings on search result pages, there is incentive for spammers to spam Wikipedia with their links and for search engine optimizers to edit Wikipedia for their own interests. If you were Wikipedia, or any business for that matter, would you rather have more views or lower risk for compromise? Competitors will always try and take down the top – it’s not always easy being the king, ha.